We hadn't stopped fawning over Lauren Conrad's stunning Pacific Palisades home, featured on MyDomaine in late October, when we heard that the home was officially put on the market after the star's pregnancy announcement earlier this year. While the $5.2 million price tag may be a little steep for many of us, it turns out Conrad's flawless décor style isn't so out of reach. The Cali-cool home, decorated with the help of interior designer Katherine Carter, had us swooning and longing for lazy afternoons basking in the natural light of her airy living room, while her kitchen—a baker's wildest dream—made us crave an indulgent Sunday breakfast, perfectly perched on her modernist barstools. To emulate Conrad's décor acumen in our own homes, we tracked down our favorite décor picks from her home tour, which, to our surprise, included a selection of refreshingly budget-friendly accessories. Think you can't live large like Conrad? Think again—these under-$300 picks are sourced straight from her lovely Pacific Palisades manse. Conrad's TV room is saturated in white tones and tons of natural light. To complement the rustic wooden beams, Conrad added touches of reclaimed wood and woven seagrass, and she added additional textures with tasseled and faux-fur pillows. 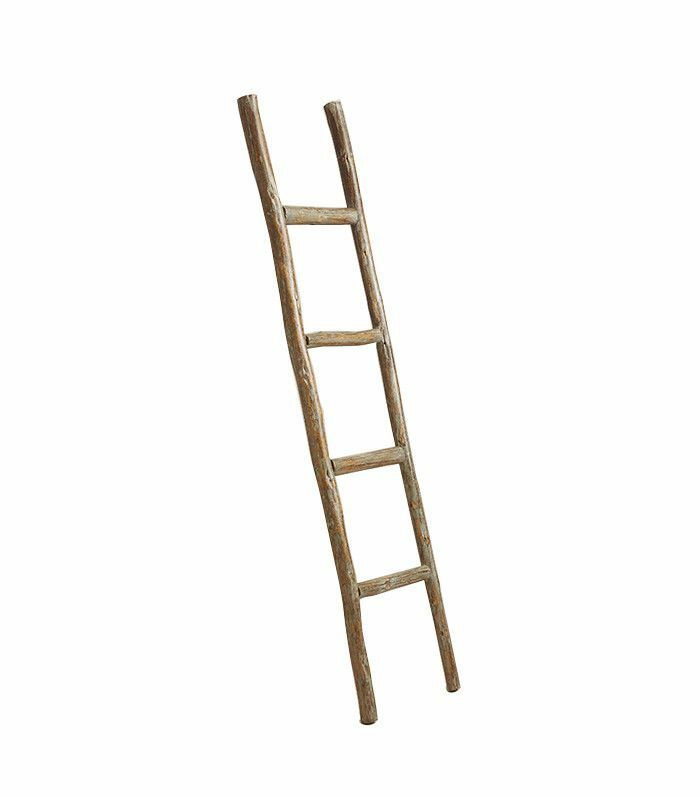 A decorative accent or a place to hang cozy winter throws, this $43 ladder is too good to pass up. 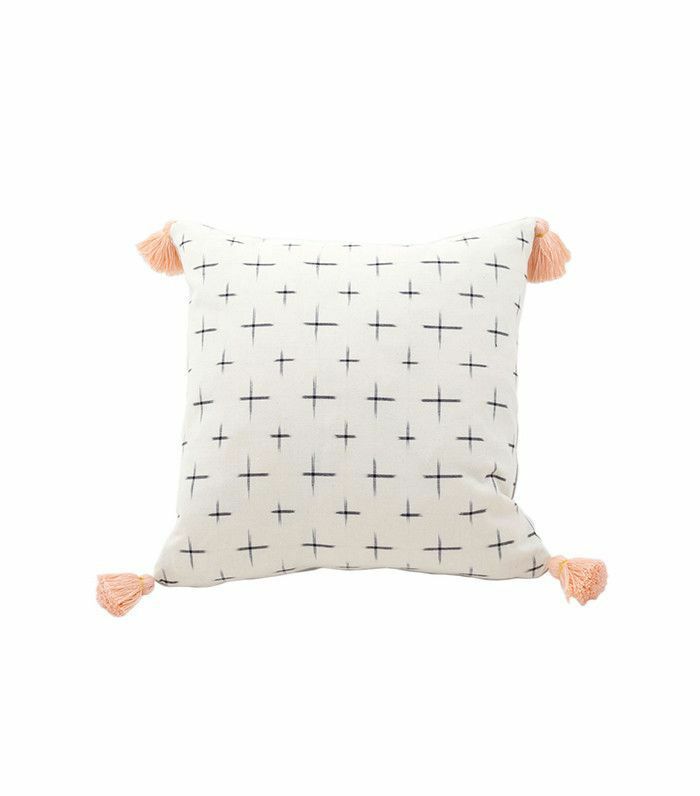 Part of Conrad's Little Market fair trade collection, this tasseled pillow is made by a resettled refugee woman living in Dallas, Texas—so your décor can do some good, too. 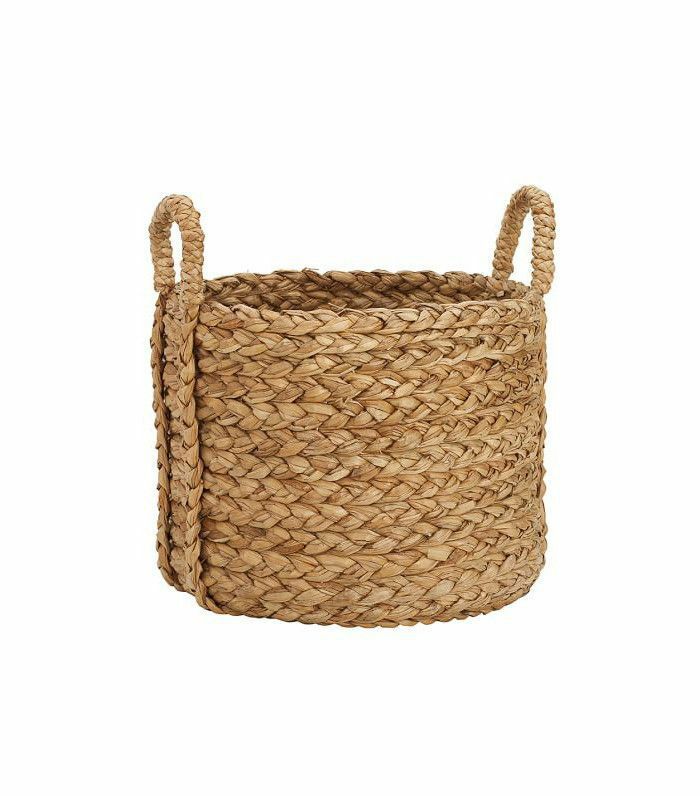 A decorator's classic trick: Hide an unsightly planter in a large beachcomber basket. This design hack pairs particularly well with fiddle-leaf fig trees. Conrad's pillow mix is fearless. 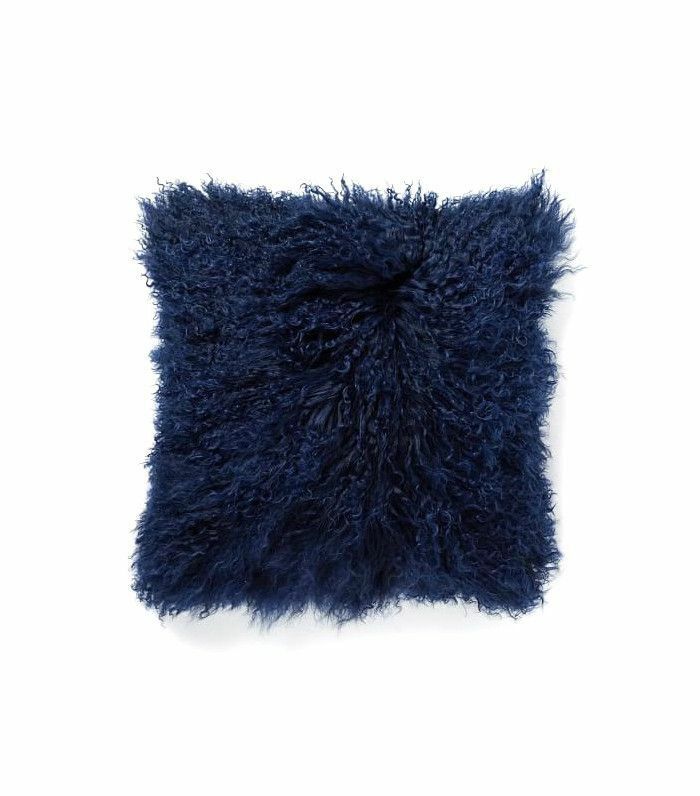 Case in point: This Mongolian lamb indigo pillow is a great touch against her white sectional. Conrad turned up the luxe factor in her bathroom, which features a clawfoot freestanding tub. She cozied up the room with layered vintage Turkish rugs and a glass side table—everything one would want for a relaxing soak session. 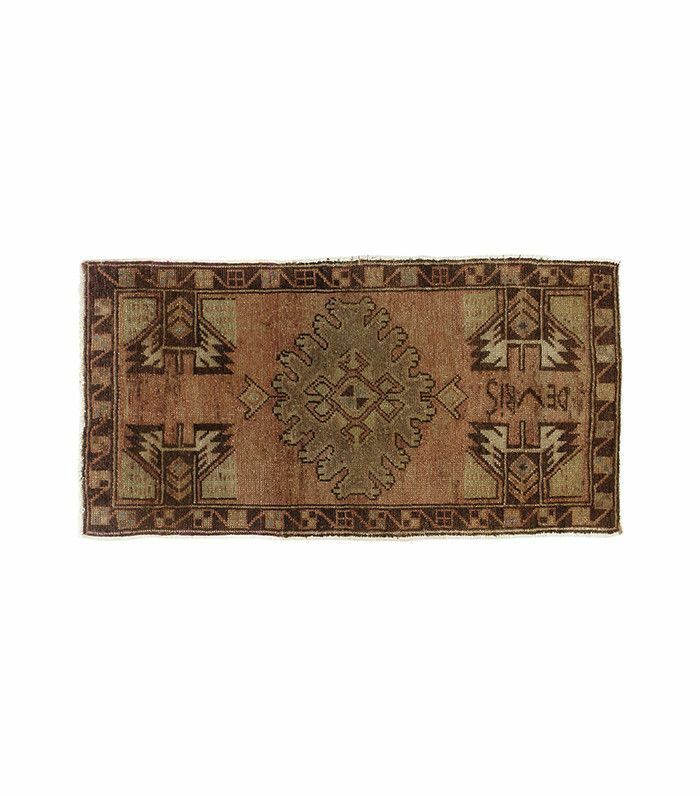 Think you can't afford an antique Turkish rug? Think again—this affordable number is just the right size for a bathmat replacement. 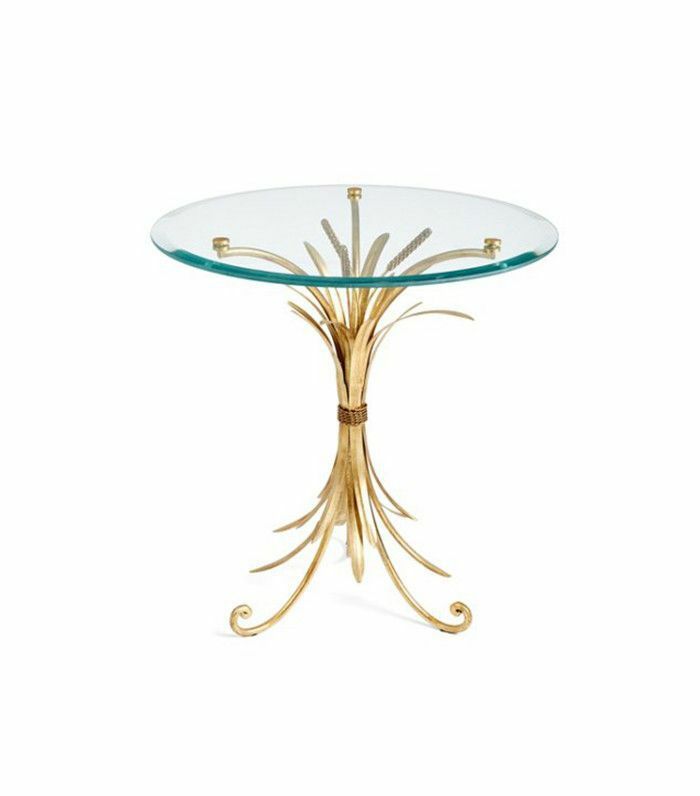 Who said accent tables were reserved for the living room? This wheat-sheaf table looks flawless against a clawfoot tub. 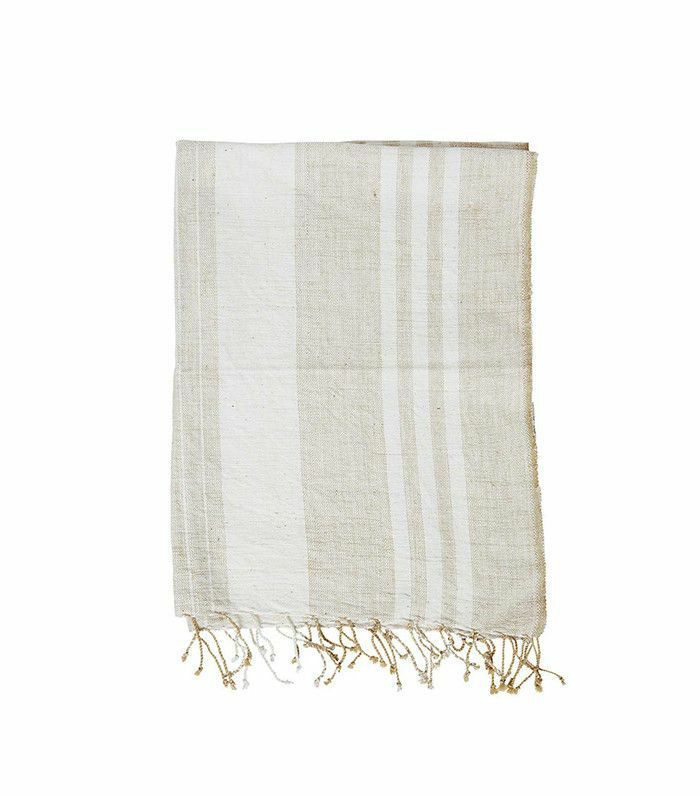 Another favorite from Conrad's little market—this Ethiopian textile is a versatile addition to any home. Her living room is a true showstopper. Keeping things light, Conrad brought in vintage chairs she had reupholstered. She kept her mantel simple—styled with a large round mirror and a leafy plant potted in a midcentury planter. We weren't the only ones who were excited about the return of the Papasan chair—Conrad is a fan, too. 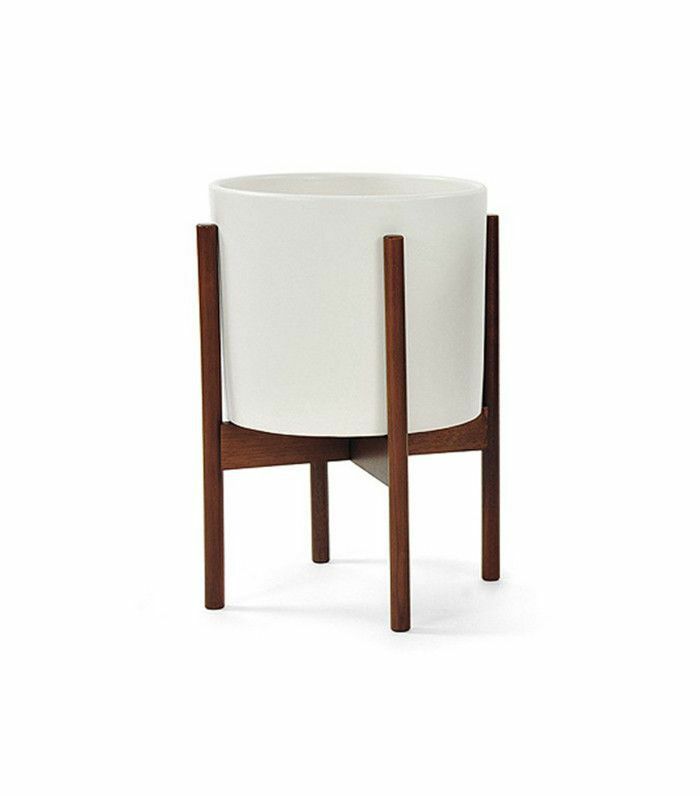 This modern planter might just be what your mantel is missing—just add a leafy tree. 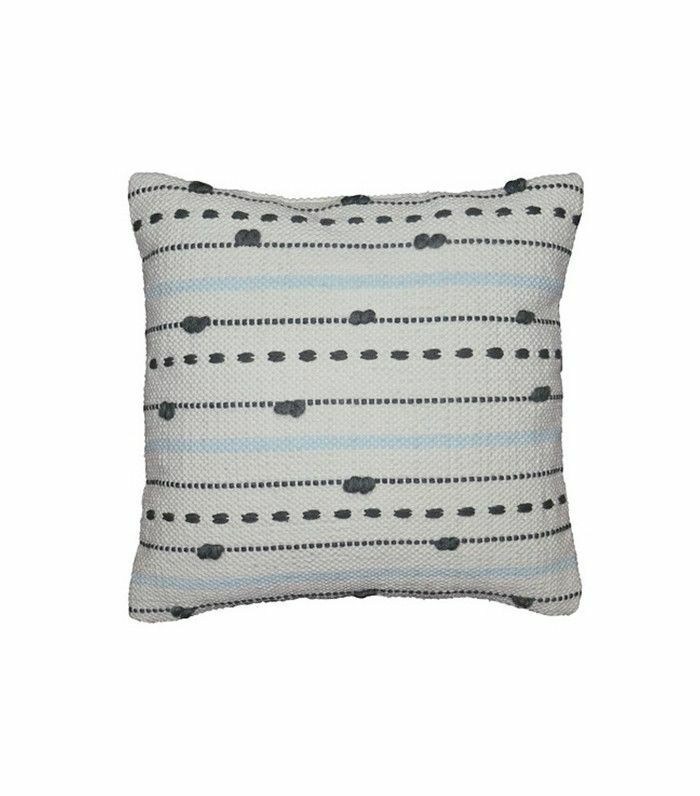 Sourced straight from Nate Berkus's collection for Target, this pillow is a great complement to a Papasan chair. 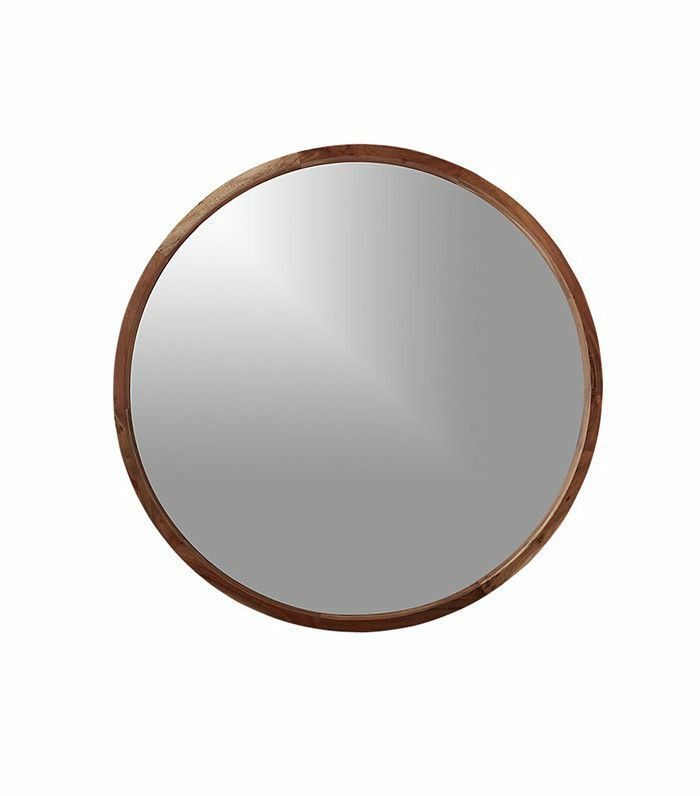 We couldn't think of a better way to adorn a mantel or a console table than with an oversize mirror—it's effortlessly chic. Conrad, an avid cook and baker, refreshed her kitchen with subway tiles and Mystery White marble countertops. 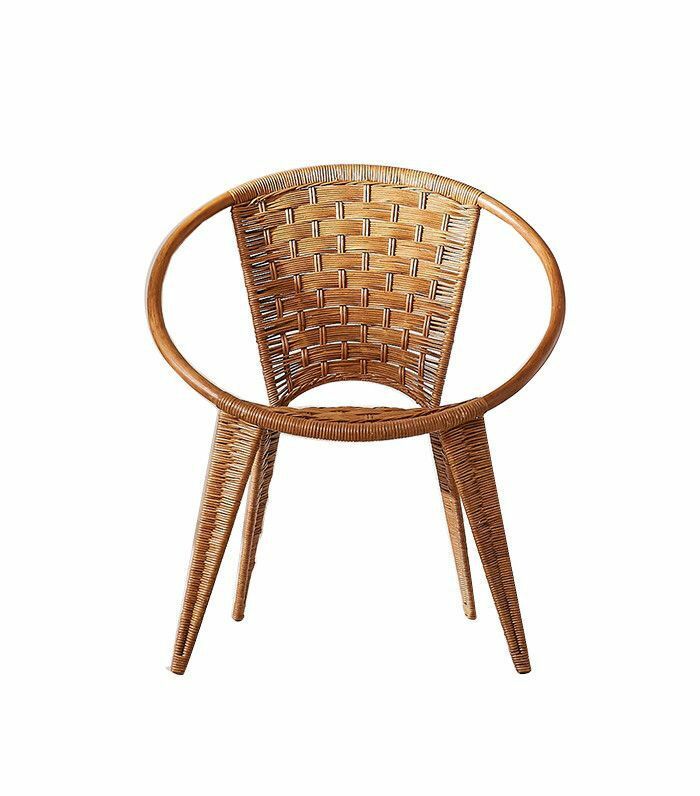 She finished off the look with minimalistic modern barstools from Anthropologie. 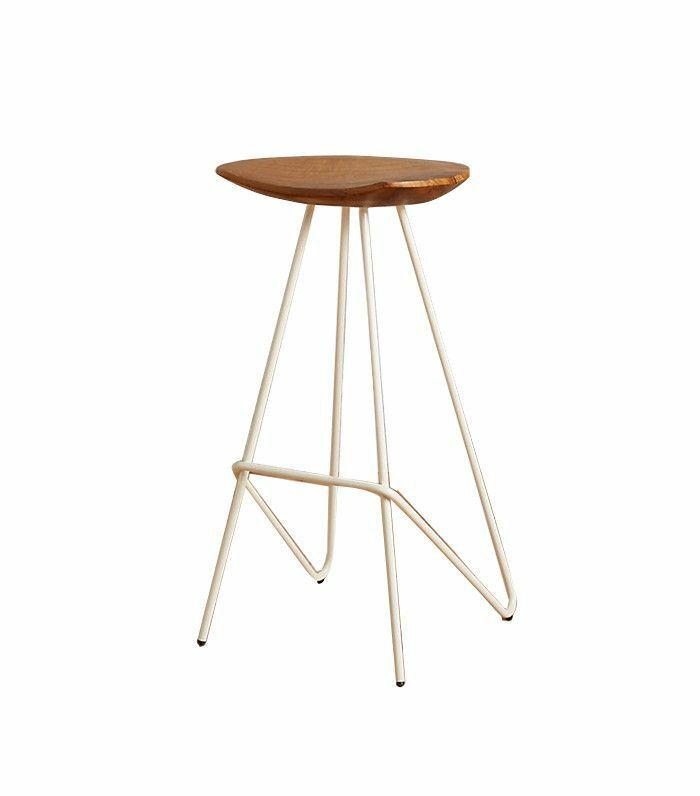 Do like Conrad, and add a modern edge to your kitchen with these budget-friendly barstools from Anthropologie. Which of these affordable décor options will you be adding to your home? Let us know in the comments below.